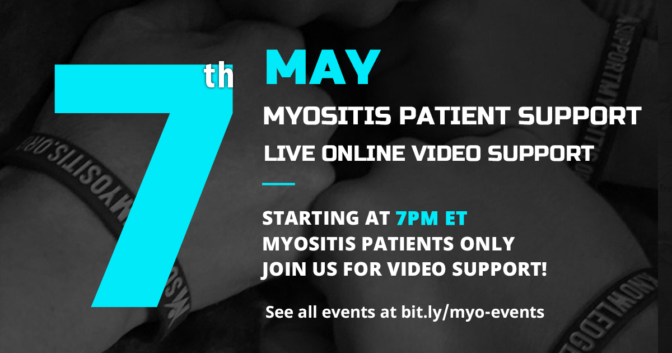 Myositis has no known cure, however, treatments exist for some forms of the disease, such as dermatomyositis and polymyositis, to try and control the symptoms. No medications have been discovered or developed specifically to treat Myositis, but medications used to treat other, similar inflammatory and autoimmune diseases are used effectively. 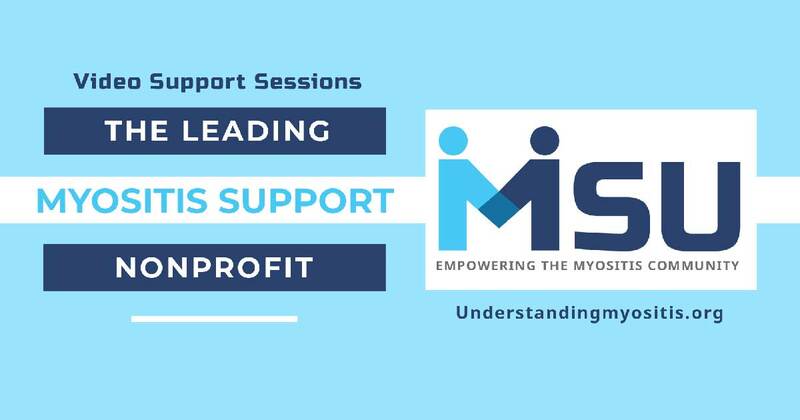 There is some encouraging news about treatments for Inclusion Body Myositis undergoing clinical trials, however, no approved effective treatment currently exists. Finding the correct drugs and combinations of drugs can be a frustrating process. What works for some may not work for others, so the treatment journey can present challenges. Reactions and tolerance to the treatments also vary from patient to patient. The first line of treatment for PM and DM is typically corticosteroids to address the inflammation causing the weakness and simultaneously suppress the overactive immune system. Additional drugs to suppress the immune system are frequently added to the steroids, sometimes at the beginning of treatment and other times once the determination has been made that steroids have shown to be effective in treating the inflammation. 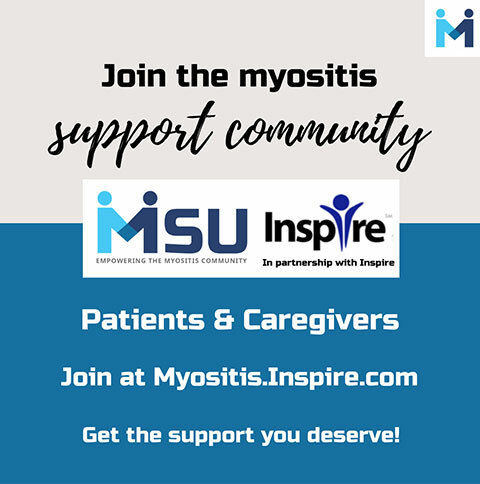 The goals of treatment for myositis are to eliminate or reduce inflammation, restore muscle performance, reduce morbidity, and improve a patient’s quality of life. 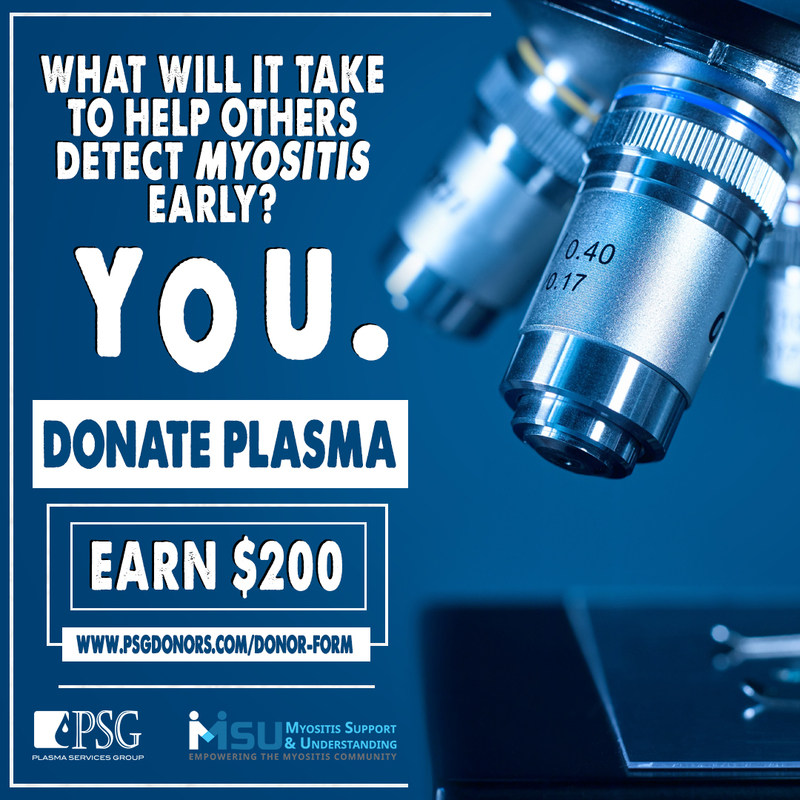 MSU Observation: Treating Myositis can be as difficult as the diagnostic process. Sometimes it takes a combination of therapies rather than simply one on its own. 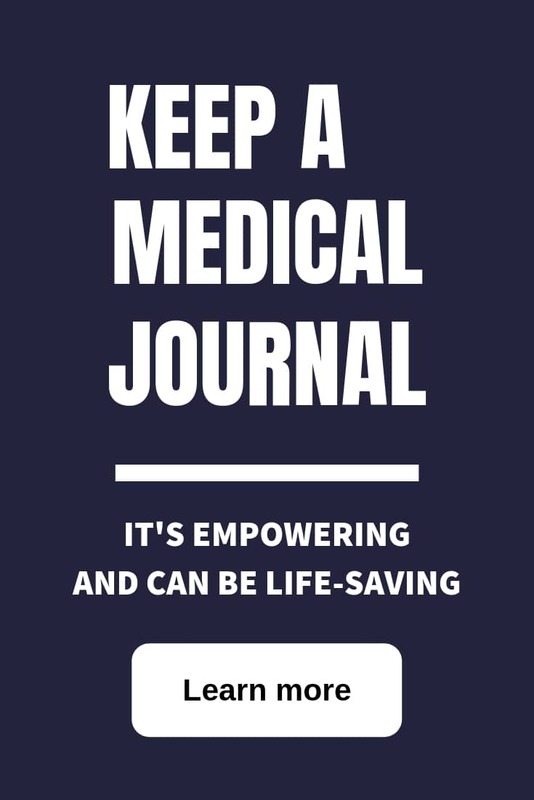 Many Myositis patients stress the importance of keeping a journal which is helpful to keep track of each medication you try in order to be proactive in your treatment. 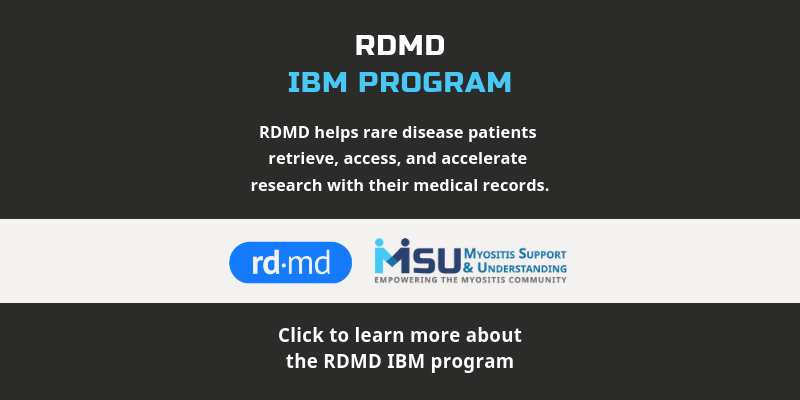 IBM: There are currently no treatments available for Inclusion Body Myositis. There are several clinical trials underway at the time of this writing (December 2017). EXERCISE is recommended for IBM patients and for all patients with inflammatory myopathies. Contact your doctor to set up an exercise plan. Rare Disease Patients are needed for clinical trials! See details to search here. Corticosteroids, Glucocorticoids specifically, often referred to as “steroids,” but should not be confused with anabolic steroids, are medications which work like the hormone cortisol which is produced by the adrenal gland. Steroids are used with fairly fast results in Polymyositis, Dermatomyositis, Juvenile Myositis and other forms of Myositis to reduce inflammation by suppressing the immune system. This helps to stop the autoimmune process where the overactive immune system is attacking healthy tissues and cells, which has triggered inflammation. Steroids, especially in high doses and over prolonged periods, are known to have many adverse side effects and can cause other health-related issues. It is a powerful and effective drug, but its use needs to be monitored by a physician. Never discontinue or adjust your dose without consulting your physician first. The dosage prescribed by Myositis-experienced physicians is typically based on the patient’s symptoms and weight. In the case of Prednisone, the most commonly prescribed steroid, the recommended initial dose for Myositis is 1mg of Prednisone for each kilogram of a patient’s of weight, (1 kilogram equals about 2.2 pounds), which is tapered slowly, over a period of weeks, months, and sometimes years. Physicians are likely to increase the dose in the event of a flare. Because the purpose of steroids is, in effect, to take over the adrenal gland’s, long-term use of steroids can often convince the adrenal glands to stop producing cortisol permanently, in which case the person would need to stay on a small amount of steroids at the same level as the adrenal glands would normally produce. While Prednisone is the most commonly prescribed steroid, others can be used based upon the physician’s experience, the patient’s tolerance, and severity of the symptoms. Some other commonly-prescribed types of glucocorticoids are Prednisolone, Methylprednisolone, Solumedrol, and Rayos, a long-acting form. What is the difference between glucocorticoids and corticosteroids? The main difference is in categorization. Corticosteroids refer to both glucocorticoids and mineralcorticoids, such as aldosterone. You may hear these terms used interchangeably but know they are referring to glucocorticoids when discussing treating myositis. MSU Observation: Medications should always be discussed thoroughly with your healthcare provider, especially those which suppress the immune system. Having a suppressed immune system can cause susceptibility to infections and hinder healing. It is also suggested that you and your doctor discuss vaccines prior to and during treatment. It is important to understand which vaccines you should and should not have. Some doctors recommend that you avoid live viruses, such as the shingles vaccine, while your immune system is suppressed and others believe it is dependent on several factors. Immunosuppressants are also referred to as Disease Modifying Anti-Rheumatic Drugs (“DMARDs”) and Steroid Sparing Agents. Immunosuppressants are used to reduce the activity of the patient’s immune system, thereby decreasing the inflammatory process. These drugs take longer to reach optimum effectiveness (for some of these drugs, as long as 3 months or even more) but, once effective, they often allow the tapering of steroids, which have many known adverse side effects. Some doctors consider tapering, and the ultimate removal of steroids, as one of the first goals of effective treatment for Myositis. However, some patients will continue on steroids their entire lives. (Imuran) provides long-term immunosuppression and is frequently used to suppress the immune system of people who have undergone an organ transplant. It is used to reduce needed doses and side effects of corticosteroids. (Cellcept) provides long-term immunosuppression and is frequently used to suppress the immune system of people who have undergone an organ transplant. It is used to reduce needed doses and side effects of corticosteroids. (Rheumatrex or Trexall) is often used in combination with Prednisone to reduce the dose required. It is can be used alone and with other drugs. (Patients with lung involvement should discuss the use of methotrexate with their doctor first, prior to starting the first dose). Methotrexate is also used in the treatment of cancer. (Cytoxan) is a T-cell immune suppressant which has been used effectively with refractory cases (cases which do not respond well to treatment) and those with lung involvement. (Prograf, Advagraf, Protopic) is another medication which is used to suppress the activity of the immune system for organ transplants and diseases such as those which are autoimmune. This is helpful with refractory cases (cases which do not respond well to treatment). (Neoral, Sandimmune) as an alternative to prednisone for long-term immunosuppression and a relatively rapid onset of benefit. (Leukeran) has shown up in reporting although most stated that this is likely a drug only used in refractory cases. Did you know that many immunosuppressive drugs were first developed as treatment for organ transplant patients to help prevent rejection? These drugs were designed to suppress the immune system and have been repurposed as treatments for autoimmune disease. Antimalarial medications are often used as a second-line, long-term approach to reduce inflammation in the skin. They can lessen the rash and help relieve burning, itching, swelling, and redness. With regular use, antimalarial medications may prevent a rash from returning. Antimalarial medications may take up to six weeks, or more to be effective. During this time doctors may recommend topical corticosteroids and anti-itch medications to relieve symptoms. If you take antimalarials, doctors may recommend regular eye examinations due to a rare retinal toxicity. (Plaquenil) is one of the most commonly prescribed antimalarials for dermatomyositis skin involvement, and for some polymyositis patients. Both of these are also used as second-line therapies for dermatomyositis and for some polymyositis patients. Acthar is delivered as either a subcutaneous or intramuscular injection, injected beneath the skin or into the muscle. It is a naturally-occurring hormone produced by the pituitary gland and has several potential mechanisms as to how it may benefit patients with PM or DM. Acthar causes the release of cortisol from a patient’s adrenal glands, thus mimicking the effects of taking corticosteroids by mouth. Acthar also interacts with a number of receptors throughout the immune system and may reduce immune overactivity responsible for causing PM and DM. Acthar® Gel is the only FDA approved drug for polymyositis and dermatomyositis other than corticosteroids like prednisone. Although Acthar® has FDA approval for treating PM and DM, there is very limited data on the effectiveness of the therapy. Ongoing studies are being performed to evaluate the role for Acthar® in the treatment of PM and DM. Take a look at the study done by Dr. Todd Levine available here. MSU Observation: The following treatments are very expensive and are often denied by insurance companies. It is important to note that denials can be reversed. Insurance providers are required to state the patient’s appeal rights and requirements. Sometimes it is a simple communication with the physician stating that the patient failed to respond to multiple treatments which will convince the insurance company to provide coverage. Other times, it may be a simple diagnosis code needed to get the medication approved. IVIG (Intravenous Immunoglobulin) comes from antibodies extracted from plasma from thousands of blood donors which is infused over several hours and is effective for treating rapid onset, life-threatening Myositis symptoms such as respiratory insufficiency, Dysphagia, renal failure, or severe weakness, such as paralysis, for a short-term benefit. IVIG is also being increasing used in PM and DM when other drugs fail or are poorly tolerated. The infusions frequently are given over a period of 1 to 5 days on a regular schedule, frequently on a monthly basis. Again, each patient responds differently to treatments, therefore the schedule, dosage, and rate of dosage is often amended until the patient shows improvement and any adverse reactions are better tolerated. Physicians don’t understand the exact reason IVIG works so well in many autoimmune diseases, but one theory and a simple way to think about it is the infusion floods the body with mega antibodies, which confuse the already-attacking immune system antibodies and sending them a signal that they don’t have to be so active. Some patients that receive IVIG experience migraines. Adapting to a migraine diet can be helpful. Find more information about Migraine Diets here. There are many different types of IVIG. While one brand or formulation of IVIG may cause you side-effects, sometimes switching to another type or brand can help. If you are using the Gammaplex brand of IVIG, there is a copay program. 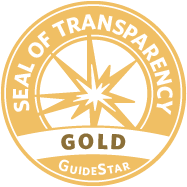 Click the button below to download the information sheet. Plasmapheresis (also referred to as plasma exchange) is a process in which the fluid part of the blood, called plasma, is removed from blood cells by a device known as a cell separator. This process is similar to dialysis. The separator works either by passing the blood at high speed to separate the cells from the fluid or by passing the blood through a membrane with pores so small that only the fluid part of the blood can pass through. The cells are returned to the person undergoing treatment, while the plasma, which contains the antibodies, is discarded and replaced with other fluids. Medication to keep the blood from clotting (an anticoagulant) is given through a vein during the procedure. Information about medication side-effects is listed toward the bottom of the page. Biologics are genetically engineered proteins derived from human genes. 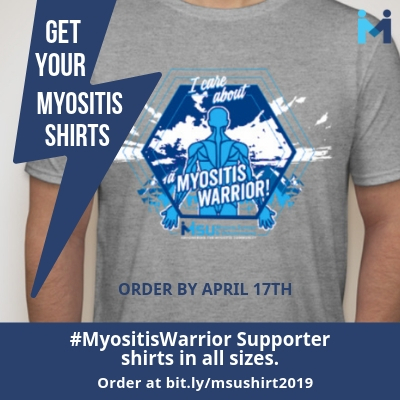 They are designed to inhibit specific components of the immune system that play pivotal roles in fueling inflammation, which is a central feature of the myositis. Anti–TNF drugs continue to help with inflammatory diseases. Anti–TNF drugs, which belong to a class of medicines known as biologics, block the action of tumor necrosis factor (TNF), a protein that promotes inflammation. 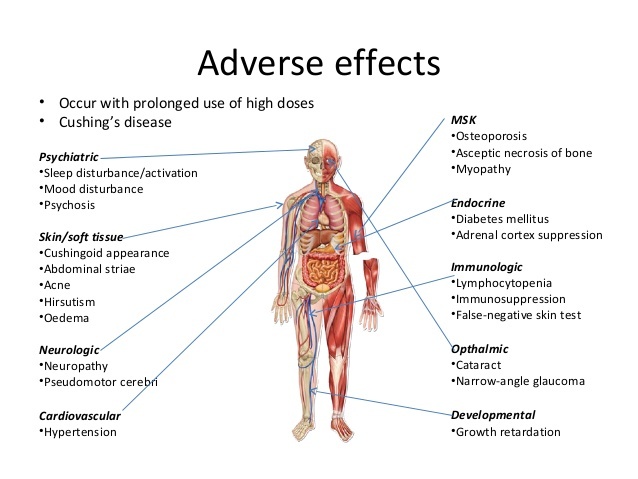 None of these drugs are FDA approved to treat myositis. You will need to work closely with your doctor and insurance company to get approval if your doctor feels this is the appropriate treatment for you. Etanercept (Enbrel), Adalimumab (Humira), and Infliximab (Remicade) are drugs which have been used in treating Rheumatoid Arthritis and have shown effectiveness for some patients with Myositis. These provide more targeted treatment and are currently being studied in clinical trials. (Rituxan) is a monoclonal antibody therapy targeting CD20. It is a B cell depleter and has been used by physicians both alone and after other drugs have failed. There are multi-center clinical trials underway for both adults and children. This is also used in combination with chemotherapy drugs in the treatment of cancer. Rituximab is given as an intravenous infusion. The infusion can take two-four hours, although occasionally it may take longer. A course of rituximab usually consists of two 1000 mg doses given 15 days or so apart. The effects of rituximab begin about six weeks after the infusions. Usually, by the third month, the full effect occurs and can last up to nine months. From experience, we see rituximab given every six months however your doctor will make the determination of how often you will receive it. Arava (Leflunomide) affects the immune system and reduces swelling and inflammation in the body. We are not aware of many patients who have tried this, but of the ones who have, they reported good outcomes. Alemtuzumab (Campath) targets a specific type of protein found on the surface of mature B lymphocytes, called CD52. B cells in an early stage of development do not have this CD52 protein and so they are safe and therefore can then produce healthy B cells allowing the body to return to a normal level of healthy B cells within a month of treatment. Some supplements and natural products may interfere with the effects of medications. Please check with your doctor and/or pharmacist to ensure it is safe to take with your current medications. Creatine has had a history of sometimes being used to improve athletic performance and to increase muscle bulk in athletes and older people, but cases of muscle weakness or flares of myositis have also been reported with the use of creatine. There are some other side effects, particularly with high doses. Myositis patients reported increased muscle strength in one small study. Be sure to discuss using creatine with your doctor prior to starting. Turmeric (Curcuma longa) has anti-inflammatory, pain-relieving, and antioxidant properties when taken in amounts normally used in cooking. There are Turmeric supplements available but we suggest discussing the appropriate amount to take, as well as if it is appropriate for you to take with your medical diagnosis, symptoms, and other medications. 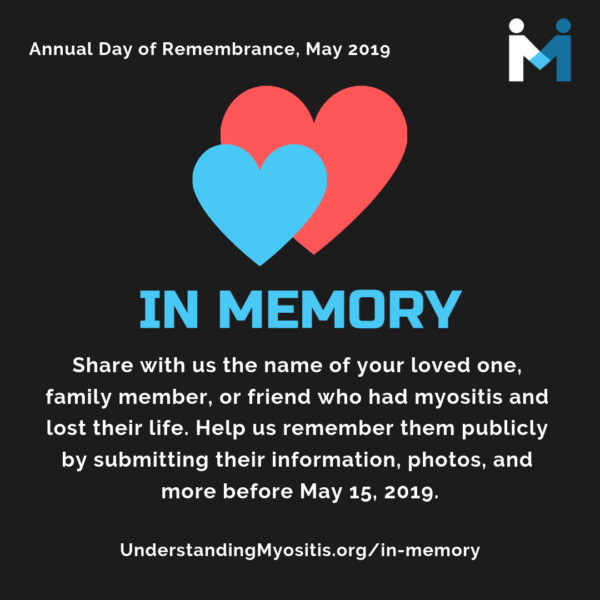 Important: Aside from the treatments and medications we take to address Myositis, most of us are also on medications to treat other diseases and disorders. Be sure to talk with your health care provider AND your pharmacist. You can also look up your medications using the FDA website. 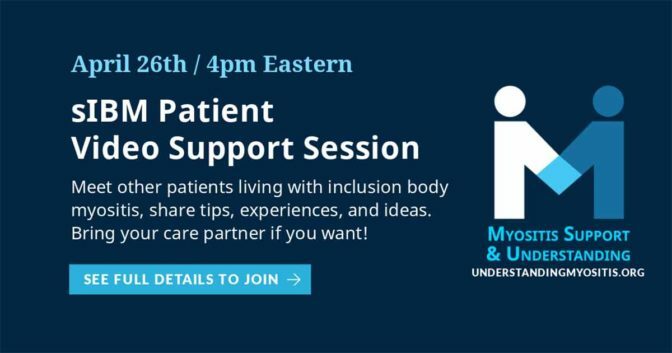 While medications play an important role in treating and managing most forms of myositis, there are also other forms of therapy that must be included. It was once thought that exercise was potentially damaging to myositis patients. This has now been proven false. We now know that there are massive benefits in using physical therapy and exercise plans that are supervised by your medical team. Going hand-in-hand with physical therapy, occupational therapy is also beneficial for myositis patients. In occupational therapy, you learn new ways to do things that might now be difficult due to muscle weakness. The therapist will work with you on things such as tying your shoes, ways to move things around on a table, and other more specific tasks. They will also assist with arm strengthening and fine motor skills. Sun exposure has been proven to initiate myositis flares, cause skin cancer, and induce painful, itchy rashes and bumps, especially for those living with Dermatomyositis. By preparing for your day in the sun, or even a drive in the car or sitting in your home, you can help protect yourself. It’s all about getting into a habit of self-care. Sun protection should be a part of our routines year round, but even more so as the sun intensifies. 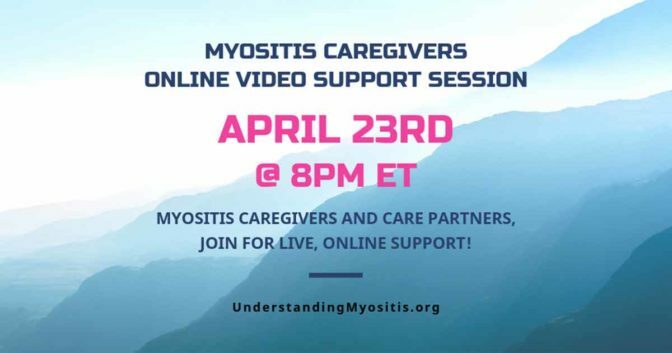 Many myositis patients, who are on steroids, immune-suppressing or modulating drugs, are rendered highly sensitive to sun damage by those medications. 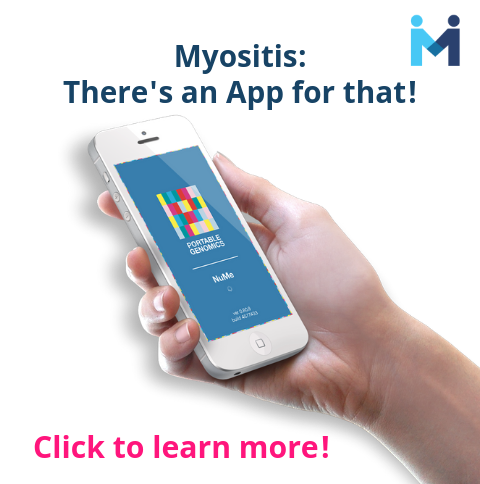 Also, people with myositis, especially but not limited to those with skin involvement, have a higher risk of malignancies, so protecting our skin becomes a required aspect of our treatment plan. There are many “fad” diets around these days so it is understandable why there is so much confusion surrounding what we should and should not be eating. There are favorable results when you eat a well-balanced diet. MSU is working with dieticians and nutritionists to try and formulate the best suggested “myositis” diet and will update this section once complete. For now, talk to your medical team. Ask your doctor to set up a referral with a dietician or nutritionist that can help you in choosing the best diet for your optimal health. The side effects of treatments used for Myositis can range from minimal to extreme. Corticosteroids are considered the first line of treatment because they are inexpensive and fast acting, however long-term, high-dose use can bring on an array of side effects ranging from annoying to life threatening. 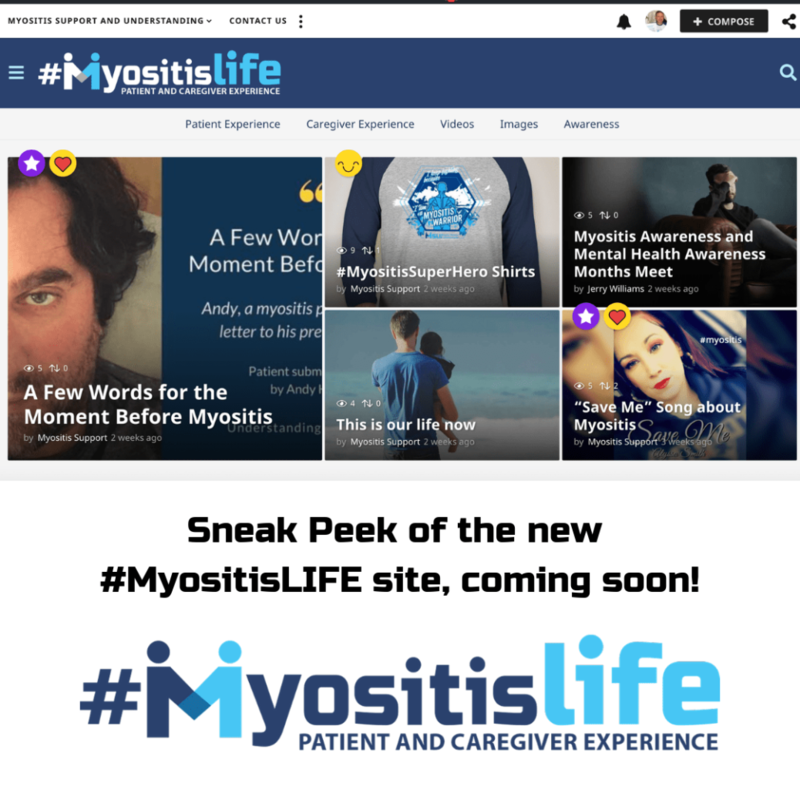 Other treatments for Myositis, typically those which suppress the immune system and are used as chemotherapy or organ rejection drugs, can have equally serious side effects. Be aware of any unusual symptoms and discuss all side effects with your doctor to determine your tolerance to the drugs. 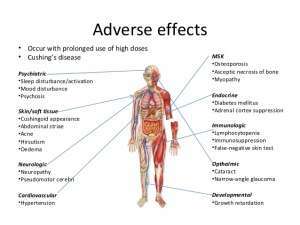 The following is a guide but does not include all side effects listed for each class of drug. It is vitally important to read and understand the prescription medication sheets which come with your prescription drugs. NOTE: Many of the “life-threatening” side effects do not affect most people. Drug manufacturers are required to declare any possible associated side effects observed by patients and their physicians. It is wise to be aware of potential side effects, but it is important to weigh the benefits versus the possible drawbacks. MSU suggests that you read about side effects as well as discuss the possibilities with your doctor AND pharmacist. Another safety measure is to use only one pharmacy. By doing so, they have all of your medications and the pharmacist, as well as computer systems they use, can alert to potential side effects of your combined medications. Bone loss (osteoporosis); steroid-induced myopathy; glaucoma, cataracts and blurred vision; weight gain; diabetes; hypertension (high blood pressure); increased susceptibility to infections; difficulty healing; easy bruising; insomnia; depression, mood swings, aggression, agitation, nervousness, anxiety and irritability; decreased urine amount; dizziness; fast, slow, pounding or irregular heartbeat or pulse; headache; osteonecrosis (bone death); noisy or rattling breathing; numbness or tingling in the arms or legs; pounding in the ears; shortness of breath; swelling of the fingers, hands, feet or lower legs; trouble thinking, speaking or walking; trouble breathing at rest; sensitivity to the sun (photosensitivity). 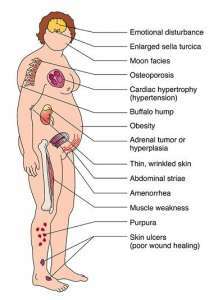 The possibility exists for adrenal insufficiency or crisis, especially when tapering Prednisone. Corticosteroids are considered miracle drugs and are often given in high doses for prolonged periods for many forms of Myositis and other diseases. 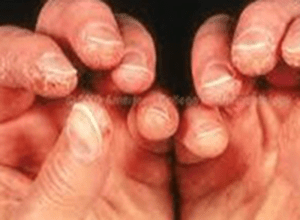 It is critical when taking corticosteroids in this manner to be aware of several precautions. When on Prednisone, the body slows or stops its own production of natural steroids. For this reason, any time the dose is to be lowered, your doctor will gradually reduce the level of steroids you are taking over a period of weeks, months, or years; this is referred to as a “steroid taper.” During this time your body should gradually increase its own corticosteroid production. Do not ever decide on your own to stop or drastically alter the amount of prednisone or other corticosteroid you are taking, even if you feel well. Serious health problems, including adrenal crisis or insufficiency, could result if you do! Physicians highly recommended that people taking steroids wear medic alert jewelry which states that you are taking corticosteroids. In the case of emergency medical care, the introduction of more steroids or the withholding of your normal dose can cause critical issues. Additionally, it is wise to carry a complete, up-to-date list of all medications and diagnoses with you at all times, especially in the case of an emergency. If you have taken corticosteroids for a long time, be sure to discuss your medications with all doctors and dentists treating you. Any situation that places extra stress on your body such as surgery or major dental work may require higher levels of corticosteroids than you will be able to produce. This may require that the corticosteroid dosage be increased temporarily during such stressful periods; this is called a “stress dose”. Some physicians may also suggest delaying procedures because steroids can raise the risk of infections and inhibit healing. Gastrointestinal symptoms; bone marrow suppression; liver toxicity; pancreatitis; increased risk of infection; acute infection of the nose, throat or sinus; anemia; bloody urine; chest pain; cough; decreased white blood cells; fluid retention in the legs, feet, arms or hands; high blood pressure; thrush, anxiousness; difficulty/painful swallowing; greasy stools; muscle loss; hair loss; diarrhea; dizziness; rapid heartbeat; head pain; incomplete or infrequent bowel movements; indigestion; stomach cramps, vomiting, trouble breathing; urinary tract infection; brain infection (PML). 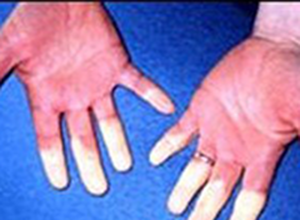 Bone marrow suppression; gastrointestinal intolerance; increased risk of infection; viral infections such as shingles or other herpes infections, BK virus, Hepatitis B and C; brain infection (PML); yeast and other fungal infections; fever, chills, body aches; pale skin, easy bruising or bleeding, unusual weakness; trouble breathing; rapid heart rate; coughing up blood or vomit that looks like coffee grounds; bloody, black, or tarry stools; painful or difficult urination; chest pain; feeling faint; problems with vision, speech, balance, or memory; weakness in your legs, lack of coordination; nausea, vomiting, stomach pain, diarrhea, or constipation; headache, mild weakness; swelling in your hands or feet; numbness or tingly feeling; or anxiety, insomnia. Hepatic (liver) toxicity; bone marrow suppression; increased risk of infection; pulmonary fibrosis; interstitial pneumonitis bacterial infection of blood or tissues affecting the whole body; bleeding of the stomach or intestines, mouth sores; decreased blood platelets; decreased white blood cells; hole in the intestine; stomach lining inflammation or intestinal ulcer; sun-sensitive skin; dizziness; nausea; loss of appetite; low energy; feeling unwell; anemia; disease in the white matter area of the brain; hardening of the liver; hepatitis; liver tissue death, acute liver failure, excess liver fibrous tissue or abnormal liver function tests; acne; chills; diarrhea, fever; hair loss; itching; skin boils or rash; throat irritation; avascular necrosis of the bone; deficiency of granulocytes; elevated amount proteins in the urine; high amount of uric acid and eosinophils in the blood; increased spinal fluid pressure, inflammation of blood vessels in the skin, kidney disease/failure, low blood counts due to bone marrow failure and low sperm count. Malignancy; bone marrow suppression; hepatotoxicity; an allergic reaction (shortness of breath; closing of your throat; difficulty breathing; swelling of your lips, face, or tongue; hives; blood in the urine; black or tarry stools; painful or difficult urination; signs of infection such as fever; chills, or sore throat; jaundice (yellowing of the skin or eyes); lower back or side pain; chest pain, difficulty breathing; swelling; unusual bleeding or bruising; changes in bone marrow function (detected by blood tests); nausea, vomiting, or decreased appetite; mouth sores; abdominal pain; diarrhea; hair loss; temporary or permanent sterility; skin rash; changes in skin color or changes in nails. Nausea, stomach cramps, loss of appetite, diarrhea, dizziness, or headache may; arm, leg or back pain; rapid heartbeat; hair loss/color change; mental or mood changes such as anxiety, depression or hallucinations; ringing in the ears/hearing loss, worsening of skin conditions; eye problems; sensitivity to light; vision changes; muscle weakness; severe abdominal pain; severe nausea/vomiting; easy bleeding or bruising; signs of infection; seizures; shortness of breath; swelling of ankles or feet; extreme tiredness; dark urine; yellowing of the eye; skin rash; itching/swelling (especially of the face/tongue/throat); dizziness, trouble breathing and retinal toxicity. Fever, chills, body aches, flu-like symptoms; mouth and throat sores; pale skin, feeling light-headed or short of breath, rapid heart rate, trouble concentrating; pain in the lower back or side, blood in the urine, pain or burning when urinating; urinating less than usual or not at all; dry cough, cough with mucus or blood, sweating, pale skin, shortness of breath, wheezing, gasping for breath, chest pain; tremors (shaking), confusion, changes in your mental state, vision changes, seizure (convulsions); high potassium (slow heart rate, weak pulse, muscle weakness, tingly feeling); low magnesium (jerky muscle movements, muscle weakness or limp feeling, slow reflexes); high blood pressure (severe headache, blurred vision, buzzing in the ears, anxiety, chest pain, shortness of breath, uneven heartbeats); or high blood sugar (increased thirst, increased urination, hunger, dry mouth, fruity breath odor, drowsiness, dry skin, blurred vision, weight loss); nausea, stomach pain, diarrhea, constipation; headache, weakness; sleep problems (insomnia); or swelling in the hands or feet. Nephrotoxicity; neurotoxicity; abnormal glucose metabolism; hyperkalemia; headache; tremor; hypertension; risk of infection; urinating less than usual or not at all; drowsiness, confusion, mood changes, increased thirst; swelling, weight gain, feeling short of breath; blurred vision, headache or pain behind your eyes, sometimes with vomiting; seizure (convulsions); muscle pain or weakness, fast heart rate, feeling light-headed; signs of infection such as fever, chills, sore throat, flu-like symptoms; pale skin, easy bruising or bleeding, unusual weakness; or nausea, stomach pain, loss of appetite, itching, dark urine, clay-colored stools, jaundice (yellowing of the skin or eyes); tremors or shaking; increased hair growth; headache or body pain; diarrhea, constipation, vomiting; or numbness or tingly feeling. Lower back pain, blood in the urine, numbness or tingly feeling around the mouth; urinating less than usual; muscle weakness, tightness, or contraction; overactive reflexes; fast or slow heart rate, weak pulse, feeling short of breath, fainting; uneven heartbeats, wheezing or trouble breathing; confusion, dizziness, loss of balance, sudden numbness or weakness, especially on one side of the body; chest pain or heavy feeling, pain spreading to the arm or shoulder, nausea, sweating, general ill feeling; fever, chills, cough, body aches, flu-like symptoms; ongoing cold symptoms such as stuffy nose, sneezing, sore throat; easy bruising or bleeding; pain or burning when urinating; earache, painful mouth ulcers, skin sores, warmth or swelling with skin redness; a red, raised, blistering, scaly, itchy, or peeling skin rash; severe constipation or stomach pain; black, bloody, or tarry stools; or nausea, upper stomach pain, itching, loss of appetite, dark urine, clay-colored stools, jaundice (yellowing of the skin or eyes), pain where the IV needle is placed. PML, a rare, serious brain infection that can lead to severe disability and death and for which there is no known prevention, treatment, or cure can occur. Symptoms can include difficulty thinking, loss of balance, changes in speech or walking, weakness on one side of your body, or blurred or lost vision. 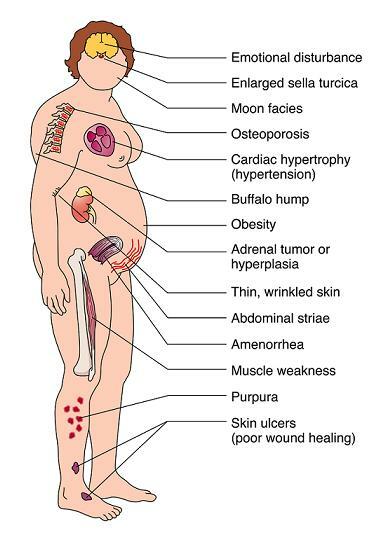 Hypertension; volume overload; renal toxicity; headaches/migraine; aseptic meningitis; chills/shaking; dizziness; fever; nausea/vomiting; fatigue; rapid heart rate; itching; upper abdominal pain; rash/hives, increased blood pressure; cough; swelling of the throat; trouble breathing, wheezing, fainting; blood clot; brown or red urine, yellow skin or eyes; chest pain or trouble breathing, blue lips or extremities; drop in platelet count. Lower blood pressure, weakness, fatigue, dizziness, or nausea. 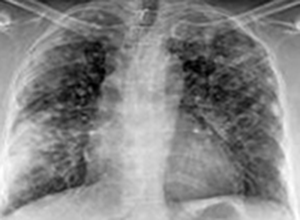 Patients can have allergic reactions, elevated risk of infections, and blood clots in rare cases. Vision problems; swelling, rapid weight gain, shortness of breath; severe depression, unusual thoughts or behavior, seizure (convulsions); bloody or tarry stools, coughing up blood; pancreatitis (severe pain in the upper stomach spreading to the back, nausea and vomiting, rapid heart rate); low potassium (confusion, uneven heart rate, extreme thirst, increased urination, leg discomfort, muscle weakness or limp feeling); or dangerously high blood pressure (severe headache, blurred vision, buzzing in your ears, mood changes; skin involvement including acne, dry skin, thinning skin, bruising or discoloration; slow wound healing; increased sweating; headache, dizziness, spinning sensation; upset stomach; or changes in the shape or location of body fat (especially in arms, legs, face, neck, breasts, and waist).